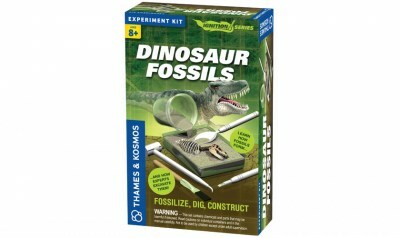 Fossilize, dig, and construct a dinosaur! 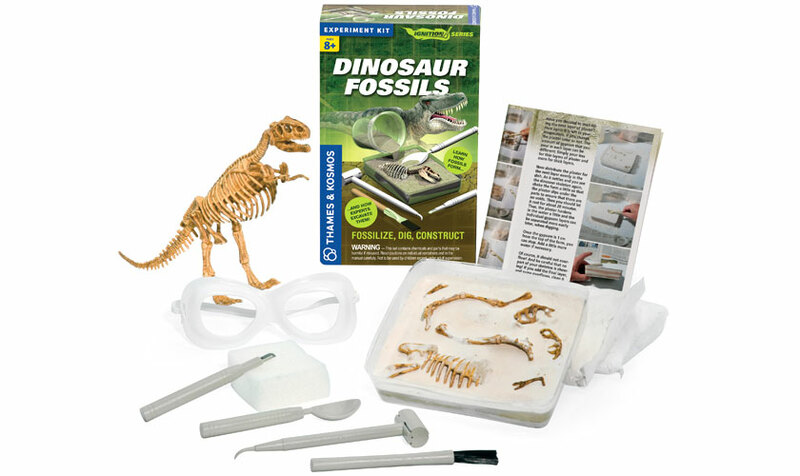 Fossilize, dig up, and reconstruct a dinosaur skeleton replica. Learn how fossils form, how paleontologists excavate them, and how dinosaur bones are pieced together to form complete skeletons. 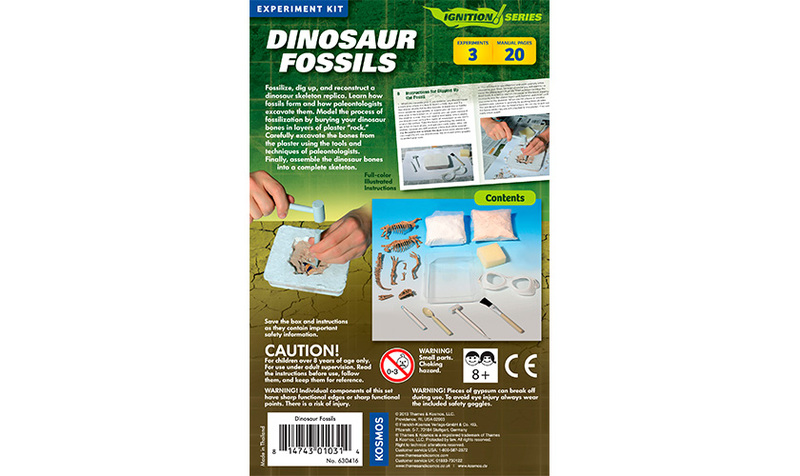 Model the process of fossilization by burying your dinosaur bones in layers of plaster “rock.” Carefully excavate the bones from the plaster using the tools and techniques of paleontologists. Finally, assemble the dinosaur bones into a complete skeleton.